For all you southern Arizonans who love to pick fresh produce right off the vine, Apple Annie’s Orchard will be opening tomorrow – Friday July 1-for the 2011 season. Green beans, squash, corn and tomatoes are ready now, with peaches ready to pick closer to the end of the month. Yummy! Photo copyrighted. Use of any kind requires licensing from Martha Lochert. 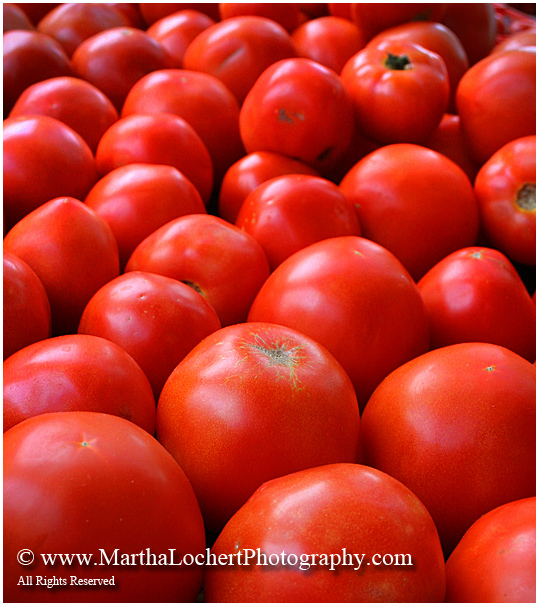 This entry was posted in color photography, food, Macro and tagged crops, fruit, orchard, photography, produce, red, tomatoes, vegetables. Bookmark the permalink.